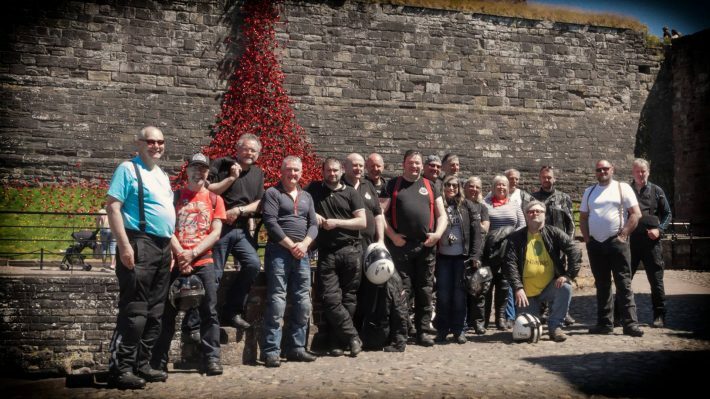 Ayrshire Touring Motorcycle Club was formed in 1990, and to this day the club still meet at the same time and place that they did almost 30 years ago. The club now has 30 regular members that attend the bi-weekly meetings, which are used to discuss hot topics or plan their next ride out or event. These events can include day trips, weekend camping excursions, evening ride outs and even European trips. Members of the ATMCC are from all different riding backgrounds, some are advanced riders and others are still new to motorcycling – whatever you ride, you’re welcome to join! There are lots of advantages to joining this great motorcycle club including monthly newsletter, organise and submit your own runs to lead, take part in Checkpoint Charlie to win prizes and you can also nominate yourself to join the ATMCC committee. ATMCC meet the first and third Wednesday of the month at the Dreghorn Community Centre near Irvine, Ayrshire. Also, if there is a fifth Wednesday in a month then this will be used as social nights for the club including quiz nights, rock nights or parties. If you’re interested in becoming a member then you’re welcome to attend a meeting or take part on a run.